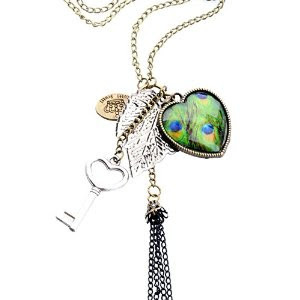 Fashion Heart Leaf Key Peacock Tassel Long Necklace - Only $3.49 Shipped! Wow! Grab this JQUEEN Women Heart Leaf Key Peacock Pendant Tassel Long Sweater Chain Necklace for Only $3.49 + FREE Shipping!